The Boss Orange label emerged in 1999 from a strategy that had begun years earlier, dividing the Hugo Boss umbrella brand into several segments. Thus, Germany's best-known fashion brand achieved a stronger divide between its individual fashion ranges. The Boss Orange glasses represent the casual wear look - the sophisticated leisure style, which is located between an actively sporty appearance and a trendy, urban flair. 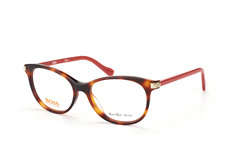 The Boss Orange style satisfies the desire for comfort thanks to simple fashion: distinctly casual chic - with a good dose of elegance. 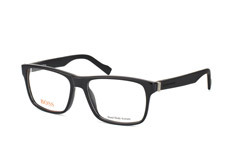 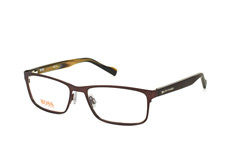 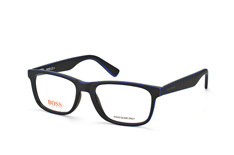 Boss Orange glasses are among the most sought-after models, but not only for younger fashion-conscious audiences. 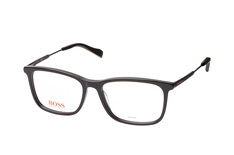 A first glance at the collections for men and women already reveals why: there is something for everyone . 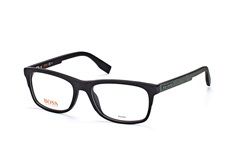 Boss Orange fans can always besure that they are fashionable and of the highest quality. A flamboyant version of a certain shape of glasses is not displayed and nevertheless all current frame trends are incorporated. 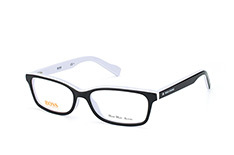 The popular panto style, which looks retro and slightly "nerdy", is represented as well as particularly narrow frames, which have experienced a type of ironic rebirth within the business environment. Rather than having a frame that simply adorns the eyes, it is desirable for the frame to create a confident, literal sharp look. 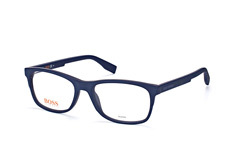 In addition, Boss Orange glasses with narrow or rather more rectangular frames are advantageous, balancing out a round or heart-shaped face . 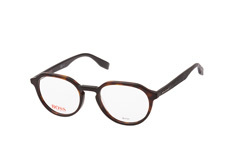 The rather extravagant models within the Boss Orange glasses collection are particularly suitable for women. 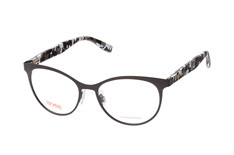 Some of them feature attractive colour combinations of frame and temples, others feature decorative patterns that play with references to textile fashion trends. This is done by using camouflage or brightly coloured patchwork, as is the case with model BO 0202 7KQ - a real eye-catcher. 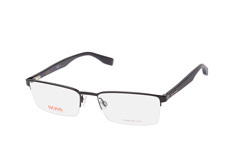 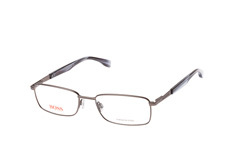 Men have a touch of noble flair when wearing glasses with a horn frame. 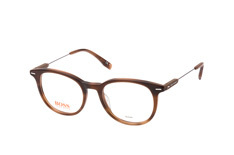 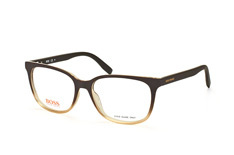 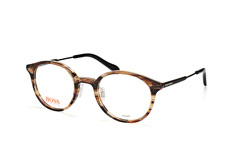 An elegant alternative to this classic approach is a fashion trend that can also be found in Boss Orange glasses: cream and mocha coloured frames , sometimes interspersed with transparent contours in beige or subtle orange. The design is harmoniously thought through so that the colour blends in perfectly with the overall picture. 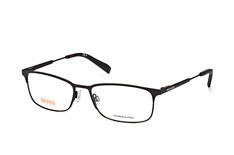 The Boss Orange BO 0307 PF3 is a particularly unusual men's model. 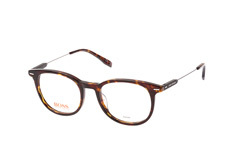 Here, the typical speckled pattern of the horn frame is brought into contemporary fashion in a rather avant-garde way. The smallest thing that all Boss Orange glasses have in common is their light-weight. Whether metal-plastic combinations for frame and temples, full rims made of plastic or half-rim glasses: a comfortable fit is always guaranteed. 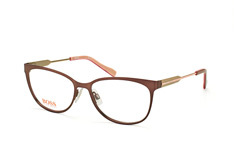 The majority of the models in the collection are very delicate and designed with the use of minimal material. As such there are rather thinner temples and frames found in the collection and unusual patterns and colour areas occur in the smallest of spaces. Over a hundred well-known brands and more than 3,000 glasses models: you are sure to find the perfect model to fit your personal requirements in the huge selection at Mister Spex. 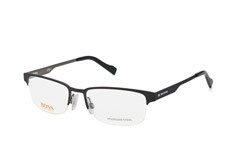 The practical 2D or 3D virtual trial fitting makes selecting glasses enjoyable. 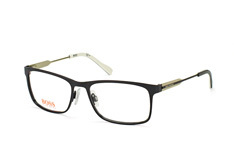 Test which favourites suit you best directly on your desktop screen or display of your mobile device. 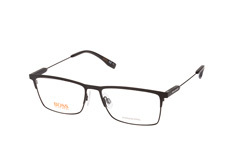 The intuitive filter options in the navigation bar help you to find glasses according to your personal criteria. Select the right glasses according to brand, colour, shape and other criteria. 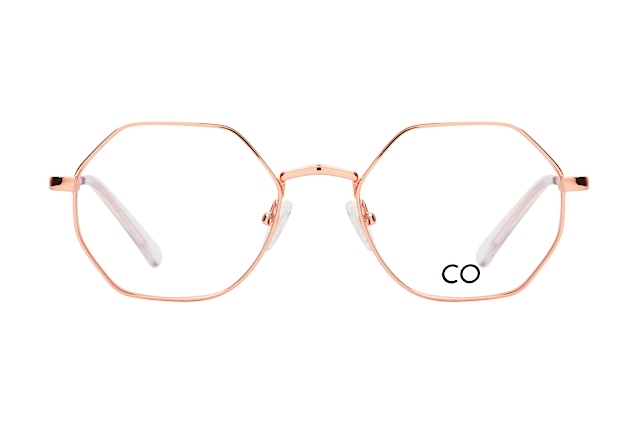 In the case of glasses needed for the correction of short-sightedness or long-ightedness, plastic lenses in super-reflective quality are already included in the specified price. 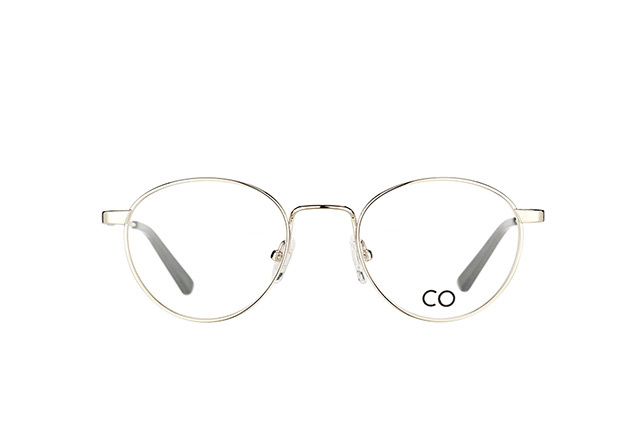 To order, simply enter your prescription values from your glasses document. The cutting of prescription glass takes place in our Berlin master workshop. 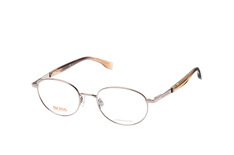 You can also try out prescription glasses at home: we will send you up to four frames free of charge. 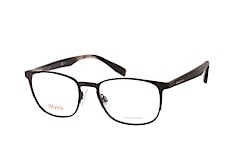 You max return them for free within 10 days. You may cancel your online order within 30 days, free of charge and with a money-back guarantee!